The Jayalalitha government's demand to release former prime minister Rajiv Gandhi's assassins has put its rivals, especially the BJP, in a fix. As political rivals clamour to retain their pan-Tamil credentials, the BJP may use the 'nationalist' card to even the odds in its favour, says N Sathiya Moorthy. Independent of other perceptions, the All India Anna Dravida Munnetra Kazhagam-ruled Tamil Nadu government writing to the Centre on freedom for the seven ‘Rajiv Gandhi assassination convicts’ is aimed at embarrassing the rival Dravida Munnetra Kazhagam in the upcoming assembly polls due on May 16. On the one hand, the AIADMK hopes to retain whatever ‘pan-Tamil votes’ that it had garnered away from the Vaiko-centric four-party front and actor-politician Seeman’s Naam Thamizhar Katchi (We, the Tamils Party) in the 2014 parliamentary polls. Even more, the party hopes to embarrass the main rival in the DMK-Congress combine, by recalling to the pan-Tamil voter memory their own propagandist perceptions of the anti-Tamil stance of the Congress-led Centre and the DMK-led state government at the height of ‘Eelam War IV’ in May 2009. It’s another matter that the war did not impact on the Tamil Nadu voter in the coinciding Lok Sabha polls of the time. Not only did the DMK-Congress combine win a majority of seats from Tamil Nadu and adjoining Puducherry, but a pan-Tamil, pro-Liberation Tigers of the Tamil Eelam stalwart like Marumalarchi Dravida Munnetra Kazhagam’s Vaiko lost his native Sivakasi seat. By the same token now, the AIADMK, through the same letter, seeks to embarrass the ruling Bharatiya Janata Party at the Centre. Given its ongoing tussle with the Congress rival and the rest over its superior claims to ‘nationalist’ credentials, the BJP would find it difficult to take any position that could rub on the image. For his part, Home Minister Rajnath Singh has since told Parliament that the Centre would not do anything that went against the Supreme Court verdict in the matter. Elsewhere, he has also indicated that state governments should act against those ‘celebrating’ the assassins of Mahatma Gandhi. In December 2015, the Supreme Court had clearly indicated that the Centre alone has the power to decide on setting at large, those convicted in CBI-prosecuted cases. It has thus taken away the possible option purportedly available to the Tamil Nadu government to decide on freedom for the Rajiv killers, citing their 20-plus years already spent in prison. In the normal course, the Centre does take its time in deciding on such matters. 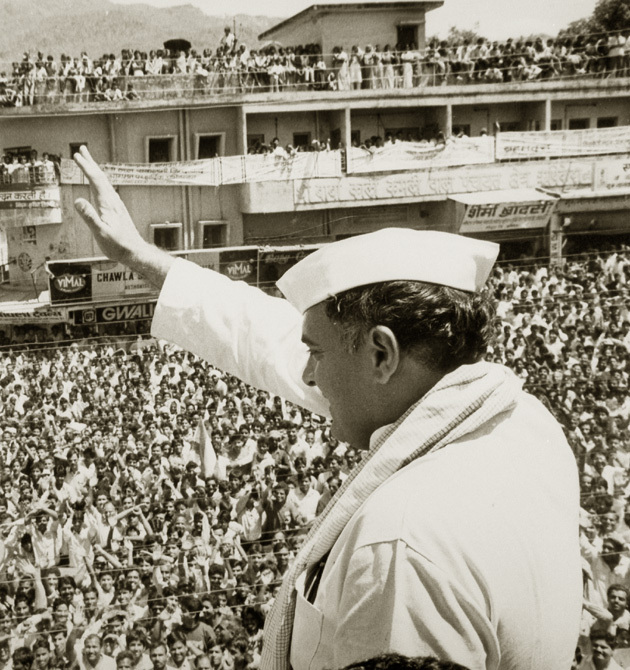 However, in the Rajiv Gandhi assassination case, the very legal demand before judicial fora for freedom arose from the Centre’s inability/unwillingness to fix a date for the ‘execution’ of six of the seven convicts, now in prison. It may be recalled that the Supreme Court had confirmed the death sentence also on Nalini, an Indian national, who was A-1 in the case after the suicide/death of LTTE cadres and their local accessories more directly involved in the assassination. At the behest of Sonia Gandhi, widow of the slain leader, Nalini’s death sentence was commuted to one of life term. Nalini’s Sri Lankan Tamil husband, Sriharan alias Murugan, and five others are those now in prisons, whose death sentences were commuted owing to inordinate delay in their execution. The continuing demand of Nalini, in particular, and those of the rest, both in courts and before constitutional authorities like the governor and the President, has been for their freedom after spending so many years in prison. There is no denying the embarrassment quotient attaching to the ‘Rajiv case convicts’ in electoral terms in Tamil Nadu. Yet, there is nothing to suggest that it would be a game-changer now, or ever. To put it differently, those that had voted against the DMK-Congress, jointly or separately, over the past years would continue to do so. The vote-catching potential of the issue thus is minimal, if at all. That should include first-time pan-Tamil voters, who would not be wooed one way or the other, either because the AIADMK had flagged the issue, or the DMK and the Congress are aligning all over again after s gap in the 2014 parliamentary polls. Sure enough, the two aligning parties, and also their prospective poll partners too would have considered all aspects from the past before joining hands. In a way, the poll-time slanging match on the issue could centre around other players in the field who all claim a pan-Tamil bias on the ‘Sri Lankan front’, extendable to the Rajiv Gandhi assassination case. In this, the Paattaali Makkal Katchi of Dr S Ramadoss has the longest claim, dating back to the months immediately following the assassination. In November of 1991, the PMK took out a massive rally in Chennai city, then Madras, in which slogans were raised in favour of the LTTE and the key Rajiv assassins, who were already dead at the time. Today, the party is seeking to build a ‘moderate image’, and with great efforts. Whether young chief ministerial candidate, Anbumani Ramadoss, would want to recall the party’s past contribution in the matter, including its war-time and post-war political proclamations nearer home, remains to be seen. Vaiko, who was still in the DMK, was sulking when the PMK went all out, after the assassination took a heavy electoral toll on the party. Two years down the line, the DMK would sack Vaiko, citing other reasons, but mainly to wash the ‘sins’, if any, associated with the assassination. It thus became a necessity -- apart from conviction -- for Vaiko to carry on with his pan-Tamil imagery and pro-LTTE politics. That also meant that the party lost top-level second-line leaders who had followed him into his MDMK from parent DMK, whose ideas on the subject did not match with that of the mentor-founder. In turn, this has also meant a loss of vote-base for the MDMK, which has also been crowded in the confusion, caused by swiftly shifting Sri Lankan Tamil diaspora preferences for pan-Tamil partners in India. Going now with Vaiko in the four-party alliance is the Communist Party of India, whose state leaders cannot but share the blame for misleading the LTTE leadership on ground realities in India during elections 2009. Thol Thirumavalavan, whose Viduthalai Chiruthaigal Katchi, with its own brand of pan-Tamil politics and image, was then in the DMK combine, and is now with the MDMK and the CPI in the four-party combine, the Communist Party of India-Marxist being the fourth partner. From among the rest in the poll-fray, Seeman’s Naam Thamizhar Party has a pan-Tamil political voice and imagery -- but not enough votes in individual constituencies even to influence the results, leave alone winning a few assembly seats. This is despite the fact that the party has got head long into the elections, having already announced candidates for all 234 seats. It’s a feat in itself. Who then is the net-gainer or net-loser from the pan-Tamil, pro-Sri Lanka Tamil poll politics this time in Tamil Nadu -- even granting that it had played any decisive role in elections other than the ‘Rajiv Gandhi assassination’ polls of 1991? There are no net gainers on this score, as those that had voted the AIADMK or any other in the past would remain so -- and to the continued exclusion of the DMK and the Congress, allied or otherwise. The PMK’s is a vote-bank uninfluenced by ‘pan-Tamil politics’, despite the party’s traditional Vanniar community having voted against the ‘nationalist’ Congress party in the past. Even in the BJP’s company, the PMK votes mattered to the National Democratic Alliance only in constituencies where they over-lapped -- as in Dharmapuri, bordering Karnataka, from where Anbumoni R won the Lok Sabha seat in 2014. Even arguing that there could be further migration of pan-Tamil votes from the MDMK, VCK, and the NPT to the AIADMK, their vote-base in general and pan-Tamil vote-base in particular have already shrunk enough to be able to make any difference to the results. Conversely, the AIADMK, if at all, may lose marginally on the votes that otherwise used to go to the BJP in parliamentary polls but revert to the party in assembly elections. That way the AIADMK could go beyond the DMK and the Congress to try and embarrass the ruling BJP at the Centre, by blaming it for delaying freedom for Rajiv Gandhi’s assassins. Given the BJP’s current mood and Prime Minister Narendra Modi’s continuing methods -- and concurrent acceptance of the same in his constituencies across the country, the two could try and turn the ‘nationalist’ tables on the AIADMK and Chief Minister Jayalalithaa. Considering that neither has thought twice before attacking the Congress party and its Sonia-Rahul leadership on the ‘nationalist’ plank without batting an eyelid, they could do so in the case of TN, too. Better or worse still, they could use the ‘nationalist’ plank centred on the Rajiv assassins to tell the TN voters why the state needed to be rid of ‘Dravidian rule’ of the past 50 long years, since 1967, and of the Congress until then. A lot would depend on the allies that the BJP is able to tie up -- and their own compulsions, perceived and real, and more so taking off from their own recent past of more recent years. Considering that the BJP has had surprises for its adversaries at election time, particularly in terms of supporting evidence while bad-mouthing them, a time might come when a lot would depend on how serious the party and the leadership treat the TN polls for them to make that extra effort and possible ‘disclosures’ -- and against whom, when and how -- than anything else. Needless to add, some of it might also depend on what the courts might have to say/observe should they be moved over the ‘election-linked’ timing of the TN missive to the Centre on freedom for Rajiv Gandhi’s assassins. It’s possibly also in this context that Nalini’s brother, Packianathan, after a meeting with his sister in the women’s prison in Vellore, has asked the people not to politicise their demand for and expectations of freedom. In the past, Nalini and other convicts, particularly Arputhammal, mother of Perarivalan, had brought the legal and constitutional issues on their rights and freedoms too frequently and for too long onto the public forum that they now seemed to have understood the limits to which their grit and determination could take them -- and the inherent limitations that such an approach entail after a point. N Sathiya Moorthy is Director, Observer Research Foundation, Chennai Chapter.